Just to try one thing… Ah, and by the way: I have posted the first page: Hamburg. 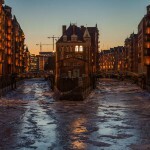 Including some of my photos from Hamburg under the Photography menu. Hi, I’m currently refurbishing and re-desingning my blog. Be patient and don’t worry about some strange content during this time. It’s some of the template content that I will delete eventually, before I upload all my original content again. Thanks for coming back later!